How much is Ree Drummond Worth? Ree Drummond net worth: Ree Drummond is an American writer and celebrity chef who has a net worth of $50 million dollars. 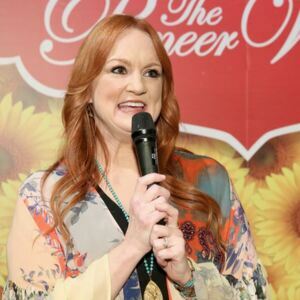 Born in Bartlesville, Oklahoma, Ree Drummond, also known as Ann Marie Smith, graduated from the University of Southern California with a degree in Gerontology. She began blogging in 2006, writing about home-schooling, and sharing recipes with extensive instructions and photographs of the entire process. 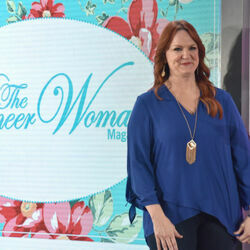 Her blog, called, "The Pioneer Woman", went on to win multiple awards, including top honors at the Weblog Awards. The blog was also named 2010's Weblog of the Year. She also launched the popular recipe site, "TastyKitchen.com". She has published multiple best-selling books. Her series of stories, "From Black Heels to Tractor Wheels", which chronicles her experience going from life in Los Angeles to her current life on a rural ranch in Oklahoma, reached #2 on the New York Times Bestseller List, and is currently being made into a movie. She also wrote the bestselling book, "The Pioneer Woman Cooks: Food from My Frontier". Other books she has authored include Charlie and the Christmas Kitty, The Pioneer Woman Cooks: A Year of Holidays: 140 Step-by-Step Recipes for Simple, Scrumptious Celebrations, and Charlie and the New Baby. Ladd Drummond's family is the 23rd largest land owner in the United States. 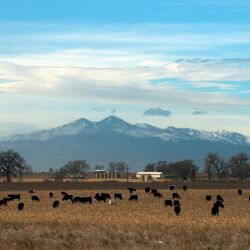 As a family, they own an astonishing 433,000 acres of land over 675 square miles. According to a government report, in the last 10 years, the Drummond family has been paid more than $24 million in rent from the United States government alone. Most of the rent payments have been to continue supporting animal protection on their vast property. The Ladd family operates the Drummond Land & Cattle Co which was founded by family patriarch Fred Drummond in the late 1800s after he emigrated from Scotland. Accroding to government records, the Drummond company is owned by just four people. 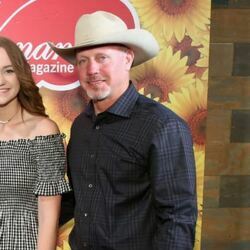 Pioneer Woman And Husband Are Some Of The Largest Landowners In The U.S.